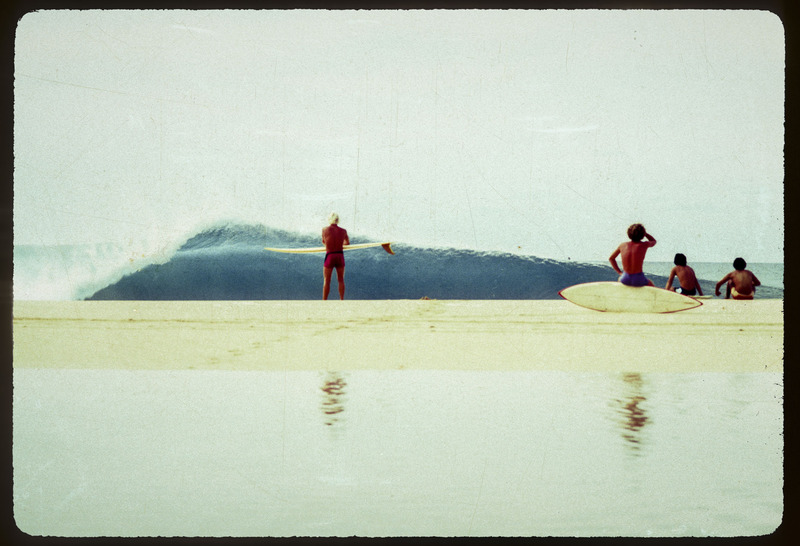 Late 70's, Richard Gillette, father of pro surfer, Gavin Gillette, is seen watching Pipe before paddling out. Surfing Magazine did a portfolio issue with all the main surf photographers for this year. This is the photo that was used to represent my work.